We publish the talk given at Mittel Media by the anthropologist Damien Stankiewicz, New York University. Damien has carried out extensive fieldwork at the headquarter of the French-German tv network Arte. The video about Damien is published as follows: clip 1 (see also below) and clip 2. The French-German and European television channel “ARTE,” now in its fifteenth year of existence, has a founding charter that requires it to produce programming aimed at “bringing together European peoples.” Yet producers and programmers at ARTE face a number of concrete challenges in creating television programs that will appeal to both French and German audiences. What do ARTE staff have to say about these challenges and about differences between French and German sensibilities? What can ARTE help us to understand about the prospects for a trans-European media space? Damien Stankiewicz, a cultural anthropologist who has completed a year of fieldwork at ARTE, recounts an anecdote or two from the hallways and editing rooms of ARTE. 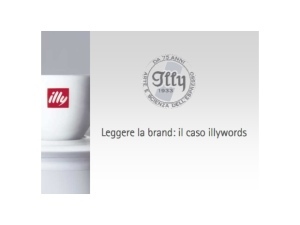 The chief manager for editorial projects and sponsorships at Illy tells about the soul of IllyWords magazine. Her talk has been recorded at Mittel Media, the event organised by Euregio on 29 October 2008 in Triest. Follow the links: clip 1 (embedded also below), clip 2 and clip 3. Antonio Rocco, head of programs in Italian of Slovenian public television, provides his point of view on the topic. Here (and below) is clip 1 taken from Rocco‘s speech at Mittel Media, here clip 2 and then clip 3. Few imagine that behind a nickname redolent of the New York suburbs, lies the blameless Mauro Tubetti. Certainly, this local rapper is most definitely neither dissolute nor a daredevil. He has nothing of the cursed about him, unlike his American opposite numbers. Indeed he studies and experiments continuously. He dreams of being a teacher in the morning and a singer in the afternoon. 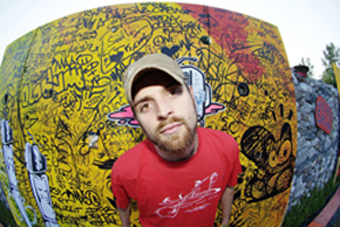 Born in 1982, Dj Tubet mixes books, teaching and reggae rhythms, with the same ease that, on stage, leads him to weave rhymes, hip hop and patois (a variant of Jamaican English) with Friulian. A chameleon-like freestyler, when he hasn’t got a microphone in hand he hangs out on the farm family in Nimis, north of Udine. It takes music to drag him out of the house. It is – he assures me – always the music that broadens his many horizons. Q Dj Tubet, do you support the creation of a crossborder Euroregion? A I think it’s a good thing. Even though the region represents a boundary from a formal and historical point of view, it cannot represent a limit from a cultural perspective, precisely because of a need that is inherent in people. Therefore a crossborder body, linking us with other regions close by is a dimension we need: we need something more fluid, going beyond the concept of the region alone. In this, Friuli starts with an advantage in having so many microcultures. It’s a melting pot with many participants. It’s historically based on an exchange. Q What role does music have in all of this? A The music already has in itself a Euroregional character. Think about when I do gigs. Singing in Jamaican English, Friulian and Italian. Take, reggae for example, which is riven by the cultural influences of the place, just so that it can be conveyed better, responding to the area in which it’s performed. It’s the most transboundary music genre of the lot. As regards current musical projects, I often have dealings with Slovenia, for concerts and other stuff – the country is a forerunner in alternative music and the top punk artists stop off in Udine only because they are performing in Ljubljana. Q Why do you base your musical research on the Friulian language? A Italian is my second language. I didn’t learn it until I went to nursery school. In terms of identity, Friulano was my first cultural expression. I am proud of this. It’s given me a greater open-mindedness, towards diversity elsewhere and recent studies show how being bilingual is a positive addition from a cognitive point of view. Q You have a degree in social psychology, one in educational science and you’re completing a third one in training science. A I studied farming at high school. When I discovered Jung it brought me to psychology, but in my mind I wanted to be a teacher. So then I dedicated myself to studying education. I would like to teach in a primary or a high school. A I’m working on the first album by ‘R.Esistence in dub’, in which I experiment with dub in Friulano. Reggae is a very radical musical genre but so far locally spoken dialects have only been experimented with in southern Italy. Now the new ‘Dlh posse’ album is due out. It’s a live swing double CD with the ‘Suingando quartet’. I’m also working on an a cappella project. Q How do you manage to do everything? Where do you find the time? Q Deputy Mayor, you’ve always lived close to the border with Italy. What has this demarcation line meant to you and your family? A A border is always a border even though the one with Italy was always permeable. My father worked right up to his retirement in the shipyards at Muggia. Almost half of my relatives, after the post-war exodus of ethnic Italians from Yugoslavia moved to Triest or its surroundings. The same went for our friends. Maintaining contacts was difficult. Locals could cross at the smaller border posts using the lasciapassare (a locally-valid passport). These however closed at a certain time so you were forced to make long detours to the international crossings to return home. One shouldn’t forget either that at that time the border was heavily patrolled by the Yugoslav military and this made the climate tense. The entry of Slovenia into the Schengen area was a great moment for us and we felt a lot freer. Q Could you lay out your point of view on how the Euroregion should function? A Completing the regionalization of Slovenia should make the birth of a Euroregion easier. I believe that the Euroregion could represent a step forward on the road towards cooperation between adjoining regions but everything depends on what one seeks to include in the field of cooperation. Q What geographical area should the Euroregion cover in the view of Koper – Capodistria? A I don’t have any firm ideas on the borders of the Euroregion. In my opinion it should include areas that share a common history, traditions and problems, but, to my eyes, the area covered is less important than the common initiatives that those involved can undertake. Q The possible reservations against the birth of a Euroregion are often linked to a presumed risk of loss of sovereignty in one’s own area. What is your view on this? A I don’t believe loss of sovereignty is a real risk. National borders will not be eliminated and the peoples’ identity would be strengthened by the various joint initiatives. Doubts of this type are baseless. Q We know that you are in constant contact with the neighbouring regions of Croatia and Italy. 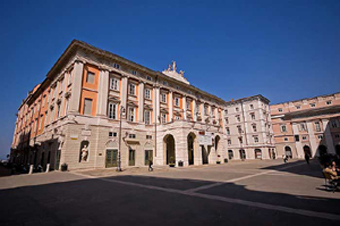 What cooperative ventures are already up and running with the various municipalities in Istria and Friuli Venezia Giulia? A Koper – Capodistria believes that good neighbourly relations should be a priority when seeking to promote projects in common at a European level. Much has already been achieved in the field of environmental protection and planning at a multilateral level through the various initiatives that we are taking part in. There are plenty of opportunities for bilateral meetings with the local councils of Triest, Muggia, San Dorligo della Valle – Dolina and elsewhere in Italy. On the Croatian side of the border we are in regular contact with the Istrian local councils. Q Do you see the possibility of resolving shared problems in the local area by using the Euroregion and what are you currently doing in this field? A We are trying to agree on the sorting of waste and its subsequent recycling with Triest. Everything that cannot be recycled would then go to be incinerated at Italian plants, as, on our side of the border we lack the necessary infrastructure. The other issue currently under examination is that of water supplies. The water resources for Koper – Capodistria are running out and bringing in new ones would be extremely costly. We would also like to draw attention once again to our interest in linking the school networks. Finally, I cannot miss out the area of healthcare provision where a cross-border plan is being drawn up for both emergency services and treatment in the region’s hospitals. Q What are the prospects of economic cooperation through a new political entity such as the Euroregion? After being awarded a degree in Public Relations with top marks from the University of Udine 2002, Serena Fedel won a scholarship for a doctorate in Transboundary Politics in Daily Life: a creature born form the cooperation between the Institute of International Sociology of Gorizia and the Universities of Trieste, Udine, Klagenfurt, Maribor, Krakow, Budapest, Cluj Napoca, Bratislava and Catania. 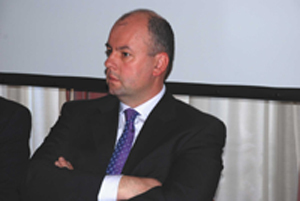 “It seemed interesting to me to develop a project linked to the area of Alpe Adria. The theme came to me almost by chance through some publications I came across on a series of initiatives linked to the field of equal opportunities – she explains. I thought that a comparison between the conditions of women in Friuli Venezia Giulia, in Slovenia and in Carinthia could represent a new and still largely unexplored theme”. The results of the project were, on one hand, a doctoral thesis “Gender inequalities and social conditions of employed women in the Alps-Adriatic region. A comparison between Carinthia, Friuli Venezia Giulia and Slovenia, and, on the other an intense life and work experience, gained at first hand in the three areas; and, confirming the conclusions reached in her thesis – that Slovenia offers the best living and work conditions for women and recounts how it was in Ljubljana that, were she able, she would have stayed and lived. “At the University of Klagenfurt there is a department dedicated to the promotion of Gender Studies, with a well-stocked library and, not of minor importance, my supervisor Professor Josef Langer. I did my first term of the doctorate there and, finding good working conditions, decided to stay on”. But the life of Serena Fedel at that time wasn’t only that of a student. Looking for alternate employment , more or less temporary, she worked as a barmaid and as a hostess at trade exhibitions – opportunities that on one hand allowed her to pay her way and on the other, “live” the city and practice the language, getting to know people. In the meantime there was a thesis to carry forward, in particular an analysis of the professional conditions of women, using a series of interviews with female employees of a bank with branches in all three areas. If fieldwork in the Region Friuli Venezia Giulia and in Austrian Carinthia could be completed fairly easily, the barrier of language was an issue in Slovenia. “I didn’t speak Slovene” she explains, “ and from my arrival in Klagenfurt I’d done courses, but obviously being behind a desk is not the same as learning directly in the real world. I thought it would be much more useful, obviously also with the research in mind, to go to Ljubljana”. The publication of a competition for a scholarship from the (Italian) Foreign Ministry proved crucial; and so Dr. Fedel moved, lock stock and barrel, to the Slovene capital to start a new adventure whilst keeping to the theme of an analysis of the condition of women. So it was that in Ljubljana a new thread in her Euroregional experience was woven, leading her back to Italy, not in her own San Canzian on the River Isonzo but to Trieste. “At first I got by using English but I soon realised that the courses I was following were insufficient. I was irritated that I was unable to understand everything, and it especially disturbed me that I had to have help to carry out the interviews necessary to complete the thesis. I carried on studying and after a few months I was finally able to speak and understand Slovene” she says. In the meantime however, her experience on a Ministry scholarship had come to an end, meaning she had to find paid work. First came the experience as an assistant to Professor Langer at the University of Klagenfurt, but the distance Ljubljana and the Carinthian capital was too great to commute, even just for a few days a week. With too little money for a car, she began a search for a job in the place that would become her new home. Having to work within job quotas, given that at that time Slovenia had not yet entered the Schengen area, she decided to work to her strengths in order to carve for herself a place in the job market. “In fact I was a student living in a foreign country – she explains – and my advantage was being able to speak Italian, whilst in the meantime, having picked up a good working knowledge of Slovene. It wasn’t particularly difficult to find part time job in an import-export firm, one in fact managed by an Italian, that also allowed me to teach in some private schools”. The experience gained allowed Serena to do a bit of “insider trading” at a management software company, where she was able to pass herself off, so to speak, (given that she was one) as a student needing to collect information to finish a doctoral thesis. Even though Slovenia comes across, as it also does in her thesis, as a country where women enjoy the best working conditions, this does not mean that it is easy to find permanent work. Serena – who in the meantime was looking for a more secure position – came across an agency which seeks to place Slovene students in temporary jobs, positions reserved for those attending the University of Ljubljana. Serena decided therefore to follow two degrees at the same time, enrolling in a course for a degree in Political Science. Moving from job to job, in the meantime she finished the research and wrote up the thesis and finished the three year research doctorate, but wanted to stay in Ljubljana. “I didn’t want to return to Klagenfurt even if there would probably have been good opportunities to carry out new research work at the University, paid for with EU Interreg funds. 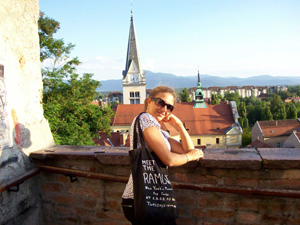 “I liked (and continue to like) Ljubljana, it has that touch of Balkan spirit that makes it a warmer place than Klagenfurt. In addition it is also welcoming, on a human scale but you breathe a cosmopolitan air of a European capital. Obviously I also made a lot of friends in my months there. The only thing I missed was being close to the sea”. The next step was to move on and look for a permanent job, this time not as a student, possibly in the area of Communication and Marketing. But the response is always the same: “At the moment we are not looking for staff but we’ll keep your file on our books” A series of C.V’s returned to sender – it wasn’t looking good. Amongst the companies contacted however was a one in Trieste, the only one on the list and it was this one that replied, offering an eight month Apprenticeship in the Area di Ricerca. “By coincidence the company was involved in connectivity and security policies for company networks and was looking to expand into Slovenia and this was why my curriculum made its way to the top of the pile. There I worked as an apprentice before finding a job in a company that works in electronic commerce, but the most important thing to me is that I’ve moved to Trieste. I’ve been living here for a year and I like it a lot, the people are more open and I’ve had a chance to catch up with old friends”. But another move is on the cards, this time it would seem for good. Destination Cervignano (in the province of Udine) to work for a agricultural company. “I would have happily stayed in Ljubljana. If I could– she reveals – I would choose to move there for good but my life has brought me back here and I’m happy about that. I’d do the whole thing again, making the same choices to end up exactly where I am today. And then there is balancing family and work time – returning to the theme of my doctoral thesis, which represents a problem here in the Region: and that’s why having as my boss the father of my children will prove a real advantage”. Journalist with a degree in Public Relations she has worked for four years with the Italian daily Il Piccolo and other newspapers. Since January 2007 she has run GoriziaOggi, a daily blog supplying information on the Isontino, the territory on either side of the River Isonzo, running from Italy’s border with Slovenia to the Adriatic. 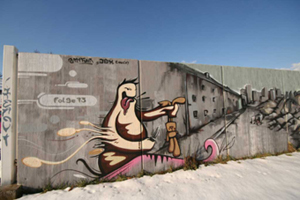 EUREGIO is a project carried out through the Community Initiative Programme INTERREG IIIA Italy -Slovenia 2000-2006.